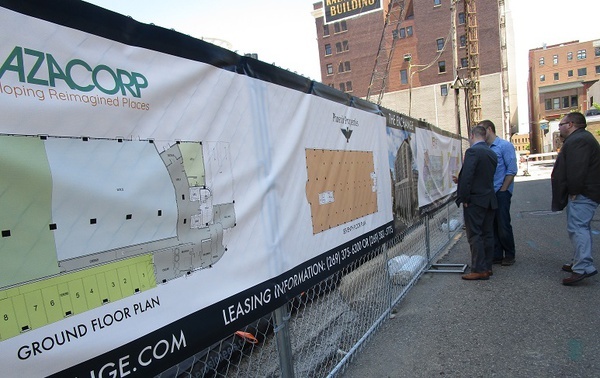 One...two...three...and with that, ground was officially broken on the $52-million high rise project at Rose and Michigan. 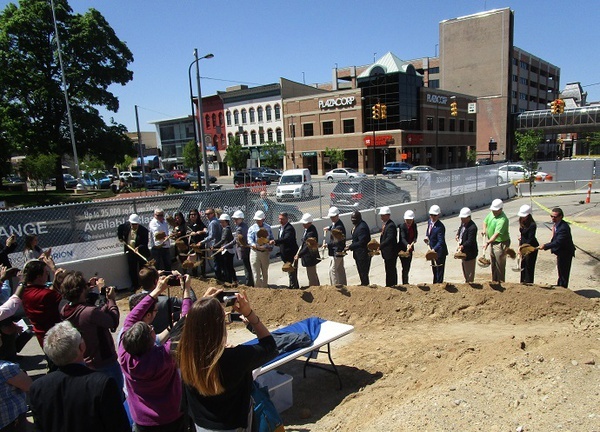 KALAMAZOO (WKZO AM/FM) -- Ground has been broken on “The Exchange” a project that has been years in the making, just to get to this point and taken a tortuous route by all accounts. Since it was first proposed in 2011 for an empty lot at what is literally the center of life in Kalamazoo County, the project has undergone several design changes, added six floors and gained and lost several financial backers all in an effort to get to the point where they could flick the green light on the project and order the heavy equipment to begin digging. But first they had to bring out the silver plated shovels. 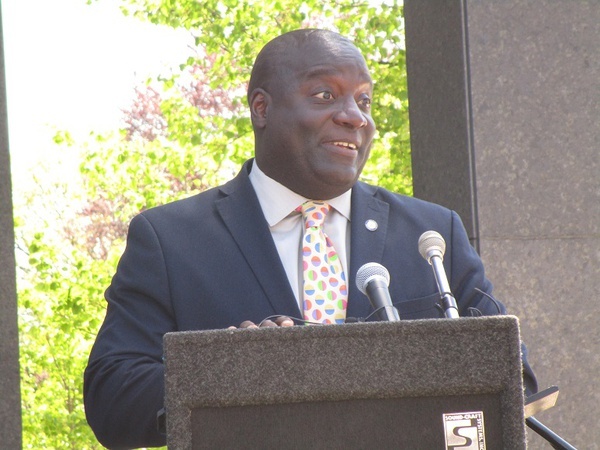 Mayor Bobby Hopewell says it will be the second tallest building downtown when its complete, changing the skyline. 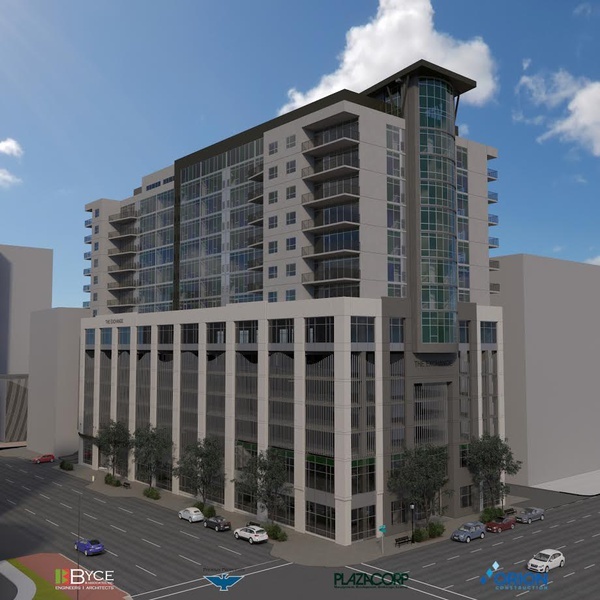 Chemical Bank has already signed on as an anchor tenant, and will fill two of the 15 stories.The top stories will be residential. There will be commercial space on the ground floor for stores and restaurants and parking for 300 cars built into the building. If all goes as planned it will open two years from now.